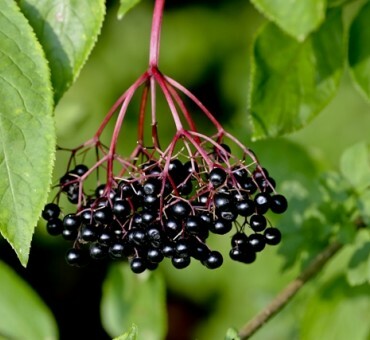 This close relative of the black elderberry in North America has gone through many improvements and selections specifically for fruit production in central Europe. 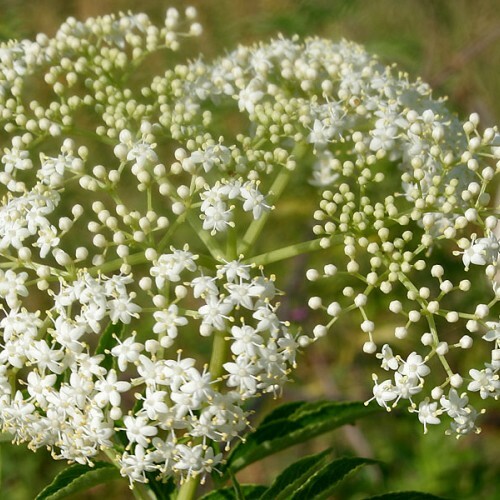 Used for cough syrup,ice cream flavoring and even wine this high bioflavinoid fruit is an easy fruit plant to grow and fruit like its north American cousin. The difference lies in the larger berries and possibly less astrigency. The berries are produced in large clusters all along the branches. There are a number of improved selections we have grown but have found this plant a little bigger in stature and possibly a better seed source for the development of cultivars for large fruit size. 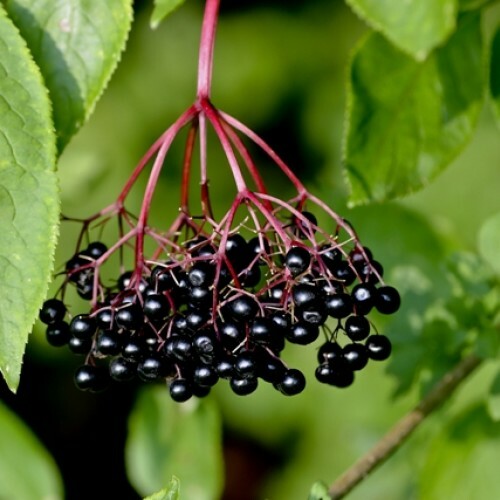 Black elderberry is considered somewhat of a tonic fruit. It has a long history of use throughout the world shared by all cultures. These are seed grown plants from improved varieties.